Cape Town - South Africa's Darren Fichardt admitted that he was surprised by his performance in the Nedbank Golf Challenge following a late entry on Thursday. Fichardt, who is ranked 87th in the 'Race to Dubai' rankings, was called up as a late replacement for England's Anthony Wall, who withdrew with a back injury. 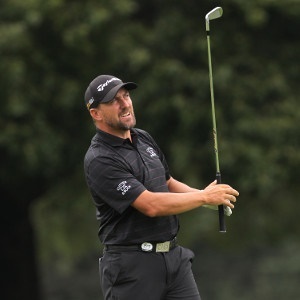 Fichardt, 42, won his fifth European Tour title when he clinched the Joburg Open in February this year, which also booked him a spot in the Open Championship at Royal Birkdale. The rush and lack of preparation for Sun City did little to deter him, as Fichardt was in a share of the lead halfway through his first round before finishing on one-under-par, 71 - four shots behind the leader, Austrian Bernd Wiesberger. The South African admitted that it wasn't a difficult course to prepare for - considering he won the Dimension Data Pro-Am there in 2004. "It's not a course I've had to prepare for, because I've played and won here before. I know what I had to do," Fichardt told reporters after his opening round. "I was quite shocked, I was telling my caddie the whole round that it doesn't feel like I'm playing the first round of Nedbank Golf, it feels like a practice round. "No (didn't expect it), I was braaing until midnight last night," said Fichardt. Fichardt tees off on Friday in Round 2 alongside Jorge Campillo and Alexander Bjork at 09:44.